Originally called the SACO House, this Victorian Inn with family quarters was built in 1905. It is located in the center of the Town of Colonial Beach, Virginia — one short block from the Potomac River beach and walkway and municipal fishing pier. 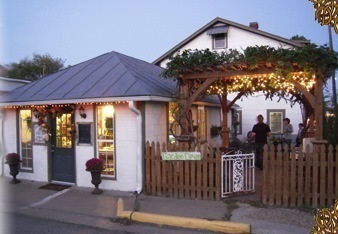 A small museum, restaurants (some with live bands and dancing), art galleries, antique shops, day spa and gym are within walking distance of the inn. The original 10 bedrooms of Tides Inn have been thoughtfully combined to give our guests an in-room bath and comfortable living space. Included in your room charge is a full breakfast — coffee service begins at 7:30 with breakfast available from 9:00 to 10:30. Wine and an appetizer are served at 5:00 pm. in the garden. 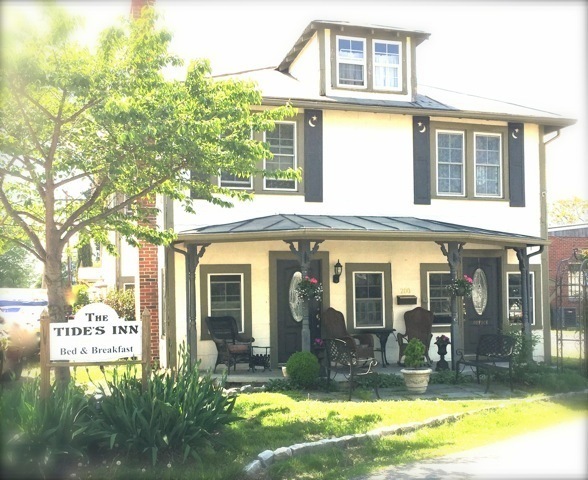 The Tides Inn Market is adjacent to the B&B and offers delectible meals. The desserts and pastries are raved about! If you're planning a day of hiking, boating or just relaxing on the beach, The Market will be happy to provide your picnic. Local musicians perform Friday and Saturday evenings, so be sure to check the Market's Facebook page for updates and our Events page for Market hours.